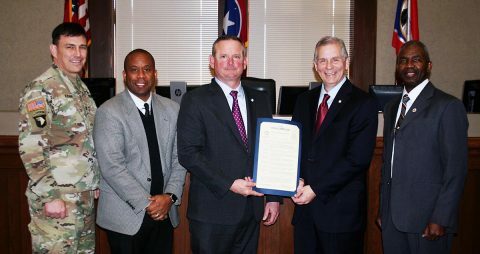 Clarksville, TN – Clarksville Mayor Joe Pitts and Montgomery County Mayor Jim Durrett have proclaimed April 14th-20th as National Public Safety Telecommunicators Week in Clarksville-Montgomery County to honor of the men and women of the E-911 Center whose diligence and professionalism keep the community safe. 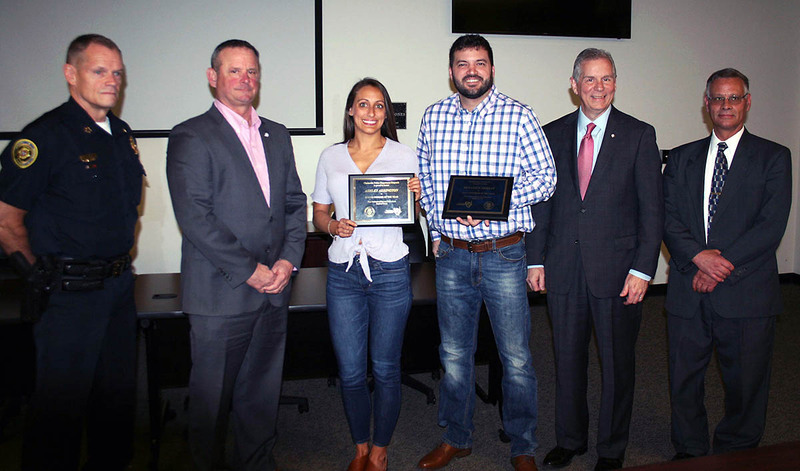 Ashley Arrington and Benjamin Tribbett, with plaques, were honored by their peers at the E-911 Center as 2019 Co-Workers of the Year. 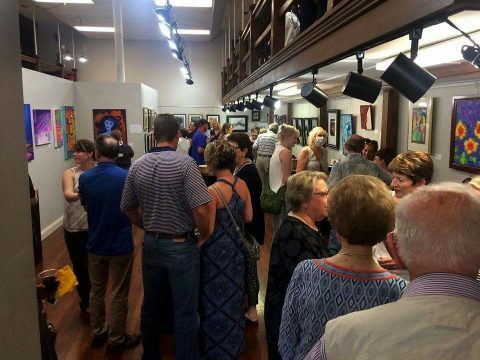 The plaques were bestowed Monday by, from left, Clarksville Police Chief Al Ansley, Montgomery County Mayor Jim Durrett, City of Clarksville Mayor Joe Pitts and E-911 Center Director Brian Hitchcock. 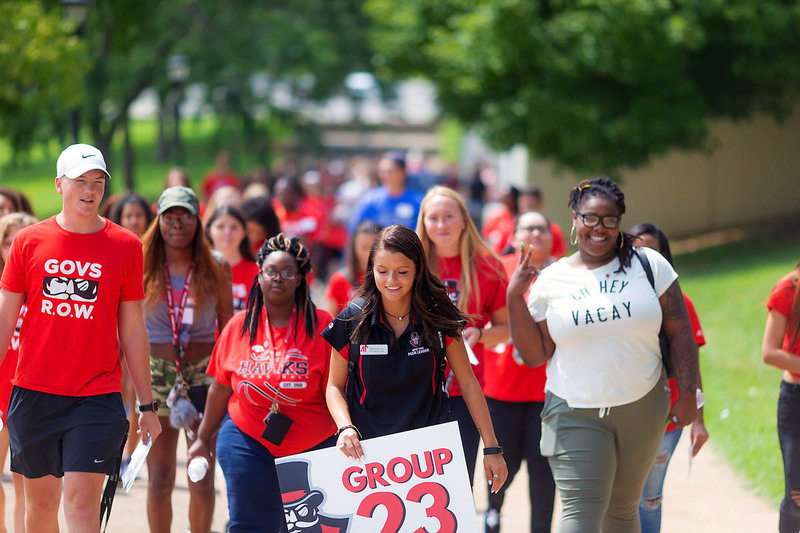 Clarksville, TN – Austin Peay State University (APSU), Tennessee’s fastest-growing public university, is looking to attract more students from other states by cutting its out-of-state tuition. 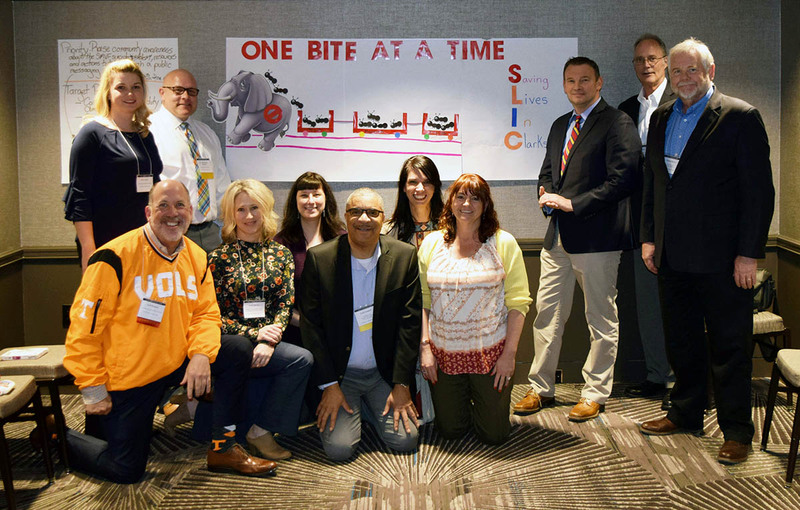 Washington, D.C. – Leaders from Clarksville and Middle Tennessee gathered in the nation’s capital last week to continue working on a public health strategy to prevent suicide among soldiers, veterans and their families. 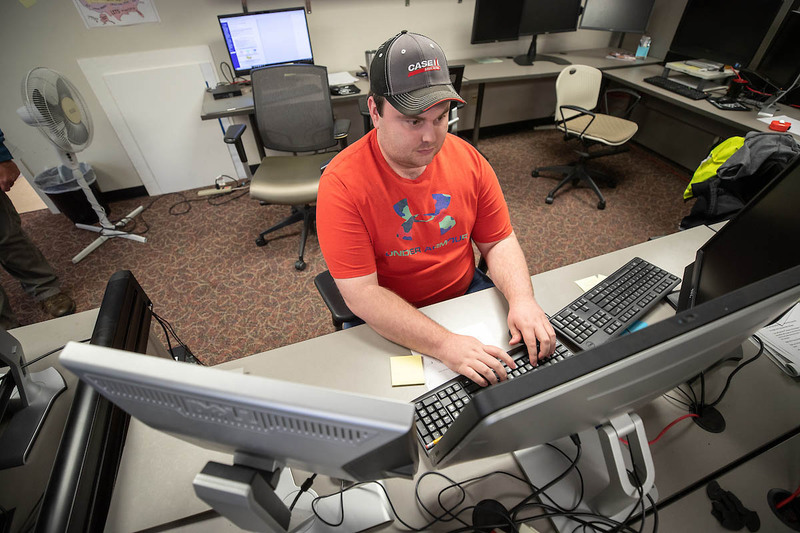 The policy academy was convened by the U.S. Department of Veterans Affairs and the Department of Health and Human Services’ Substance Abuse and Mental Health Services Administration. Last week Clarksville Group attended VA Suicide-Prevention Academy in Washington D.C.
Clarksville, TN – Joe Pitts, Mayor of the City of Clarksville, and Jim Durrett, Mayor of Montgomery County, Tennessee, proclaimed April 1st, 2019, as Census 2020 Kickoff Day and introduced members of CMC Counts, the local Census Complete Count Committee. Montgomery County Mayor Jim Durrett and Clarksville Mayor Joe Pitts (holding proclamation) were joined Monday at the 2020 Census kickoff ceremony by, from left, Col. Joseph Kuchen, Fort Campbell Garrison Commander; CMCSS Schools Director Millard House; and retired Lt. Gen. Ronald Bailey, APSU vice president for external affairs. Clarksville, TN – Clarksville Mayor Joe Pitts has formed an ad-hoc committee of City Council members to work on a joint City-County legislative agenda to present to state lawmakers who represent Clarksville and Montgomery County. 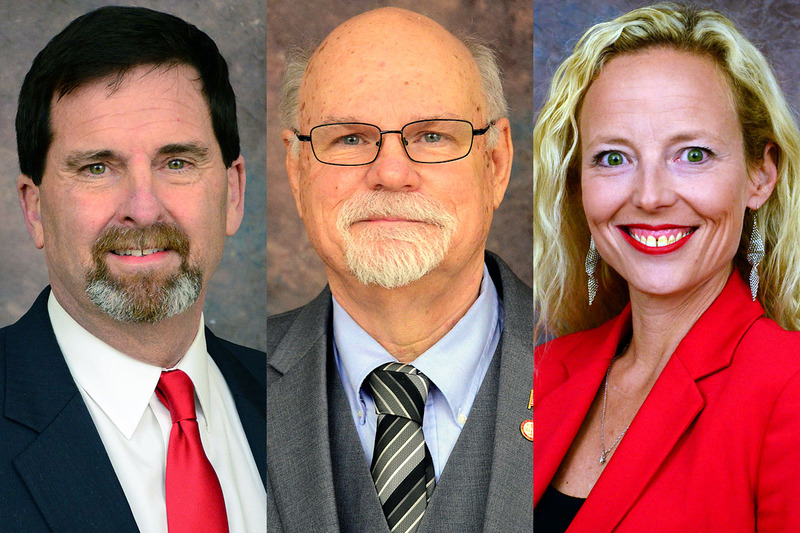 Clarksville Mayor Joe Pitts names (L to R) Jeff Burkhart, Ron Erb and Stacey Streetman to ad-hoc committee. Clarksville, TN – On Friday morning, Austin Peay State University (APSU) moved a step closer to offering its second doctoral degree, with the aim of addressing a mental health crisis currently affecting many military communities. 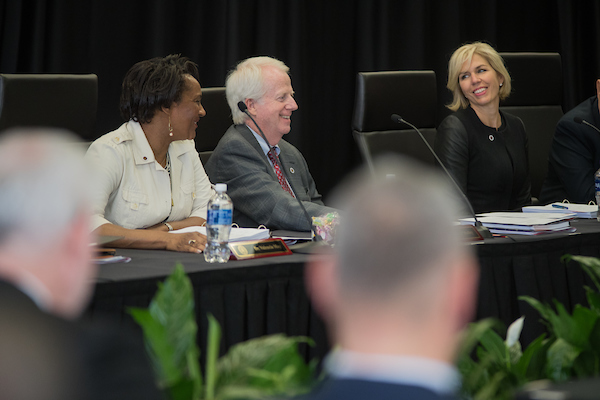 During its spring meeting, the APSU Board of Trustees approved moving forward with a Doctor of Psychology degree in counseling psychology with a concentration in serving military personnel, veterans and their families. Clarksville, TN – Clarksville Mayor Joe Pitts and Montgomery County Mayor Jim Durrett invite teens, young adults and local employers to participate in the Clarksville-Montgomery County Youth Job Fair, which is part of the Mayors’ Summer Employment Initiative. 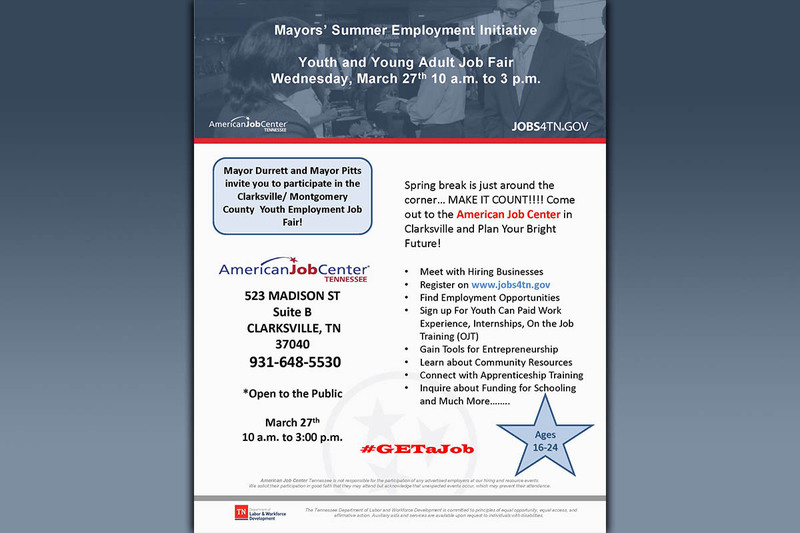 The job fair, designed for young people ages 16 to 24, will be from 10:00am to 3:00pm Wednesday, March 27th, 2019 at the American Job Center, 523 Madison Street, Suite B, Clarksville. 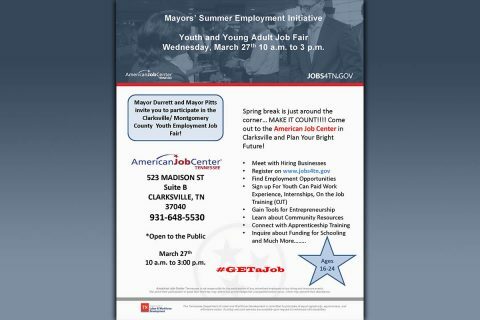 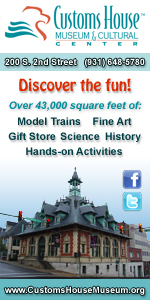 Clarksville-Montgomery County Youth Job Fair to be held March 27th.